The Fifth Edition has been comprehensively updated with new information on terrorist incidents, evolving terrorist environments, and emerging perspectives on counterterrorism and security. Author Gus Martin provides a fresh analysis of violent extremism throughout, with discussions of both international and domestic challenges and options. Focused discussion is provided on contemporary threats, new movements and tendencies, and the effectiveness of responses to these scenarios. Profiles are provided of prominent individuals, including updated information on longstanding extremist personalities. Discussion of policies and responses to terrorist environments has been augmented to include new perspectives on counterterrorist options, comparisons of domestic and international scenarios, and the contexts of promoting regional and national security. The effectiveness of policy options is discussed within the contexts of international threat scenarios, as well as domestic scenarios, including regional security challenges and responses. New to this edition: *An updated chapter on homeland security, including both American and European perspectives, has been designed to give the reader a stronger understanding of this timely topic. 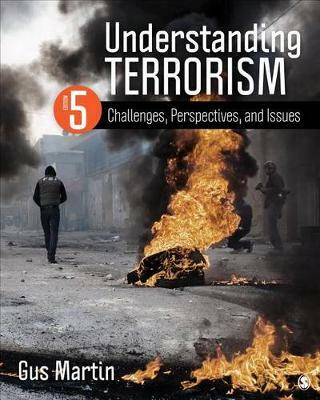 *New discussions of contemporary topics, such as cyberterrorism, the role of social networking media, homegrown Mujahideen, and the evolving terrorist environment, have been included to expose readers to the most current issues in terrorism. *New research and examples, such as the Boston Marathon bombing, the rise of ISIS, and Boko Haram, have been fully updated throughout to reflect recent events and changes in the field. *New photos, tables, and interior design make the book more accessible and clear.